This article was published on the Left Unity website, as part of the debate in the run-up to its founding conference about what kind of party it should become. In only a few months, more than 9,000 people have signed up to an appeal by film director Ken Loach to set up a new party, and 90 local groups have been established in towns and cities across the country. But Loach – wanting, rightly, to be more a figurehead than a “leader” – did not put forward an elaborate political statement for people to sign up to, simply an appeal to discuss a new party and what it could look like. And that’s where we are today. Left Unity, through its nascent democratic structures, has agreed to hold a founding conference of this new party in November. It will be open to all who sign up as founding members of the party. And it will vote on statements of the fundamental principles the party should stand for. In the past weeks, two “platforms” – that is, cross-branch collectives of Left Unity members – have formed to put forward different founding statements: the Left Party Platform and the Socialist Platform. I have signed up to the Left Party Platform and the more elaborate background document that supports it. In this article I intend to explain why. The debate between the Left Party Platform and the Socialist Platform is, for me, a welcome one. I understand there is some nervousness out there about the idea of having platforms at all, or that it will cause the debate to become “polarised”. But I believe there are two fundamentally different visions of a new party of the left in play, and it is better to pick one now than to fudge the issue. The Left Party Platform stands, I believe, for the kind of project that thousands signed up to when they signed up to Left Unity: a party that can include everyone to the left of Labour. It is a clear left statement, but without being overly dogmatic or prescriptive. I do not claim to agree with every dot and comma, but it is a platform that I am happy with as a basis. (There is still a chance to move minor amendments in November in any case.) I believe it would give Left Unity tremendous potential to grow and start to make inroads towards becoming a mass party. Already Left Unity’s meetings in many towns are bigger than any other left group’s, and it’s only just getting going. The space to the left of Labour is enormous – and as Labour moves further to the right, it gets bigger every day. In this moment of crisis and the rise of UKIP, even a moderately successful left party could pull the whole debate in society back towards the left, and win real defensive victories over the welfare state. The Socialist Platform, by contrast, takes the overthrow of capitalism and its replacement with socialism as its starting point. It is a far narrower statement – just about acceptable to a few different kinds of socialist, but distinctly unappealing to most people on the wider left. It is a recipe, I think, for narrowing the party to those who are already convinced socialists, plus a few more who we might be able to persuade as we went along. Ultimately it would limit Left Unity’s horizons to uniting the existing organised left, becoming perhaps a slightly better version of TUSC (the Trade Unionist and Socialist Coalition). Shouldn’t we argue for the “most radical” platform? As a consequence of the way the argument has been set up, some people I wouldn’t have expected are signing up to the Socialist Platform, essentially on the basis of “we’re socialists, so we should sign up to the socialist one”. It sounds obvious – but I think it’s a fundamental mistake. Remember, we’re not discussing platforms to organise within Left Unity in the longer term, to attempt to win people round to their way of thinking inside an established party. We’re not yet talking about cohering the revolutionary minority inside a broader organisation. The platforms are there to argue for different founding statements; that is, different kinds of party to begin with. The debate is about the fundamental principles and aims that the party should stand for – and, most significantly, about who should and shouldn’t be a member. If we want a “broad party” – that is, a party that be inclusive of people who hold the wide array of different ideologies and traditions that make up the left – we need a statement that doesn’t demand agreement with a long list of specifics, but sets out the basics of the political situation and a few fundamental political principles that we believe are essential. If it’s not essential, it doesn’t belong there. Otherwise we are simply excluding people from the party before we’ve even had the debate with them. We aren’t going to win anyone to socialism by demanding they sign up to it as a condition of Left Unity membership. Better, surely, to pass a broad founding statement and then, after November, be a strong socialist current within a party much wider than ourselves. Let’s use the key test: should agreement with all these phrases be a condition of membership of Left Unity? Should you have to sign up not only to end capitalism but to replace it with this simultaneously overly specific (in ends) and very vague (in means) vision of “socialism”, just in order to be a member? Should you have to be absolutely sure that no socialist country has ever existed – you can’t even be a bit soft on Cuba or Venezuela – just to join? Should you have to sign up to replace the European Union with “a voluntary European federation of socialist societies”, which is anyway really just a get-out clause from an argument about our attitude to the EU? Meanwhile more important issues are left unaddressed. Feminism goes unmentioned. 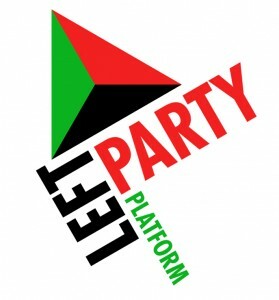 The Left Party Platform stands explicitly in the “European Left Party” tradition, encompassing parties like Greece’s Syriza, Germany’s Die Linke, Portugal’s Left Bloc, France’s Front de Gauche. The Socialist Platform does not – and the accompanying document prefers to point to their problems (and of course they have problems) than to (critically) outline the inspiration they provide that successful parties to the left of traditional social democracy are possible. At the time of writing, the supporting document for the Socialist Platform has been signed by seven of the people who have signed the statement itself, so it does not necessarily represent the views of all. However, I think it is worth engaging with briefly, as it makes more explicit the approach that lies behind the platform. Firstly, loath as I am to use the term “ultra-left”, I think that is an accurate summation of this attitude to the welfare state: “No return to 1945… That alternative is not a return to the welfare state of the 1945 Labour government but an advance to a completely new form of society.” For a party in large part inspired by Ken Loach’s documentary The Spirit of ’45, about the construction of the welfare state and what it meant to ordinary people, these formulations would be odd to say the least. Forget the NHS, forget council housing, forget decent benefits, forget free education – that is, apparently, “managing capitalism, not getting rid of it”. Calling for renationalisations is slammed as a call for a “mixed economy”! After all, “[t]he profit system will remain, the nationalised industries will service big business” and it isn’t a call for “abolition of private ownership of the means of production more generally”. Don’t renationalise the railways comrades – abolish the private ownership of the means of production more generally! There is no acknowledgement that fighting for reforms in the short term is entirely compatible with aiming for socialism in the longer term. Absent is any idea that a fight for reforms can raise people’s self-activity and point towards escalating demands; instead we are offered something approaching impossibilism. Current struggles are played down in favour of visions of a utopian future. I submit that this is exactly the kind of patronising of working class people that I have argued elsewhere the left needs to get away from. “It’s called socialism.” Oh, is it really? Tell me more, I’ve never heard of that. Perhaps you have a newspaper I could purchase? The reality of the left – and the working class as a whole – is that it isn’t full of naïve activists just waiting to be brought the “good news” about socialism. People are not blank canvasses for our ideology. They have their own traditions and their own outlooks, arrived at through a lifetime of picking up a little here, a little there, and coming to a label they feel comfortable with (or, sometimes, rejecting labels altogether). A broad left party needs to encompass not only socialists, but feminists, greens/environmentalists, anarchists (and people who aren’t particularly anarchist in their practice but say they are anarchists), communists, syndicalists, autonomists, alongside people who might call themselves “mutualists”, or “co-operators”, or supporters of “parecon”, or just “radical”, or “libertarian left”, or any number of other more unusual self-descriptions – situationism, anyone? Not to mention combinations, like “eco-feminist” or “anarcho-communist”, and people who say things like “well, I don’t label myself” or “I just want to defend the welfare state”. And yes, the dreaded “left reformists” should also be included (though, of course, almost no one uses that term to refer to themselves). I’m sure I’ve missed plenty. These are the people who I “fear will walk away”. We need to try to weave together the many, many threads of left tradition into a common party. In other words they are for a “broad” party … of people who already agree with them. A “mass party” of millions who are going to appear from nowhere and embrace socialism, because socialism is just that great. The “activist persuaders” line is essentially a propagandist view, of the sort that has done the socialist left no favours for the last century or more. My argument here annoys those who believe that parties are built through top-down “clarity” – first you come up with a clear programme (or set of politics), then you go out and build the party. But every attempt to build a mass party in this way has failed. Real parties are far messier creatures, containing a whole world of ideas that people bring with them into the party. Of course plenty will arrive with no set ideology, or with ideas that are not very strongly held. A strong socialist presence will draw people closer to socialist ideas. Common struggle, open debate, genuine participation – all these things will draw people closer to us. But what will surely “put people off” is if we just insist from day one that socialism is the only “correct” left politics – it’s been proven by history, you know! – and insist that if they’re “put off” by it then they must be some kind of right winger. One final point: Is this about “hiding” our socialism and voting for bad positions, in the style of the Socialist Workers Party in Respect? No – and I find this the most tedious accusation of all. The Left Party Platform is full of left principles, and certainly does not advocate the abandonment of any of them. Supporting it is, simply, about being openly socialist, but not demanding that everyone else should be. It is about being the kind of socialist who can co-exist in a party with a wide spectrum of the left. If we’re going to demand that people agree with us before they can even join, then what is the point of having a new party at all? This is a crucial moment for Left Unity – and I believe the Left Party Platform offers the best way forward.